Getting a robust video surveillance system installed in your home or office can be the most valuable investment you do to your family and business. 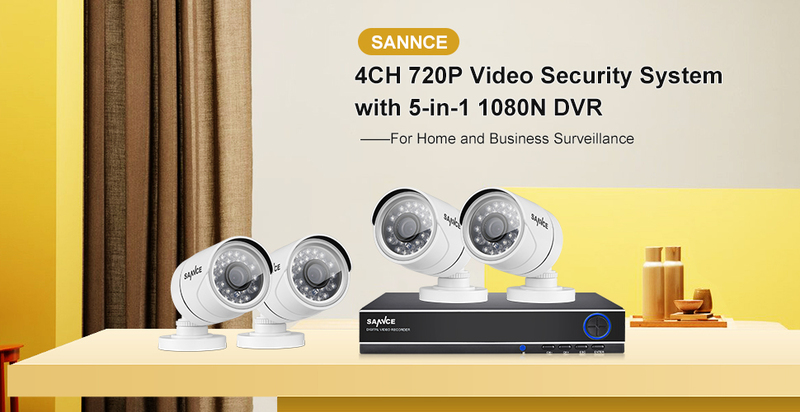 This ANNKE 720P surveillance kit is a professional yet effortless monitoring system which provides around-the-clock protection for what you care most and allows you to access it from anywhere with internet access. 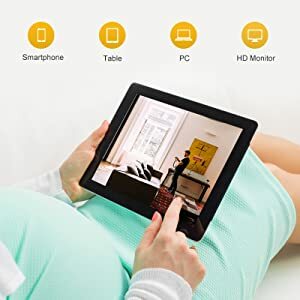 You can freely enjoy five connection modes with this one multi-function digital video recorder. 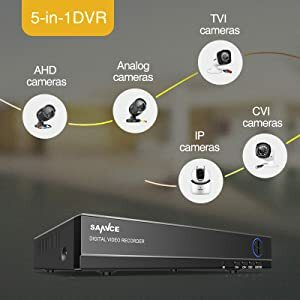 Analog, AHD, TVI, CVI as well as HD IP cameras are all connectable to it. This gives you the chance to take full advantage of your old cameras or even new ones. Experience the crisp and clear 720P monitoring video the system brings to get complete peace of mind in home and business security. Equipped with premium infrared LEDs, these cameras are capable of generating up to 66ft black and white night vision in low visibility circumstances. Install our free apps (Aondroid and iOS applicable) on your mobile devices to view, record and play back the footage no matter you’re in the next room or on the road. Once you get the DVR connected to the app, you can see whatever the cameras see thousands of miles away with internet access. 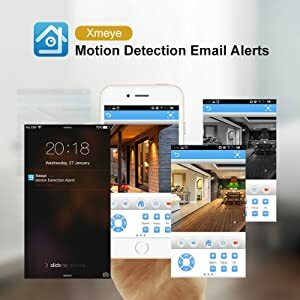 The embedded smart motion detection function gives you total awareness of what’s going on in and around your house by sending you alarming email when unexpected movements are detected by cameras. The USB port on the DVR gives you a hassle-free video backup option. 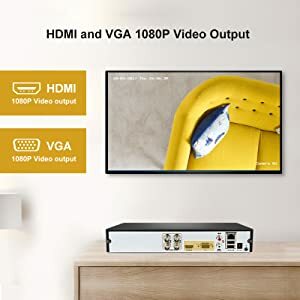 The HDMI and VGA ports make it possible for you to present and play back the recordings on PC, HD monitor and TV apart from viewing them on mobile devices. 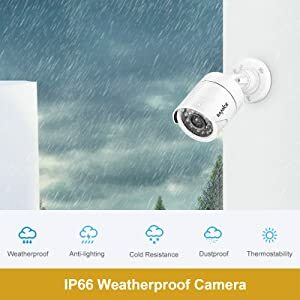 Built to be suitable for both indoor and outdoor application, these cameras are all IP66 weatherproof rating. They work like doughty warriors in severe weather conditions to provide all-year-round protection for you and your family. In an attempt to produce more reliable and professional video surveillance equipment, all our surveillance products are CE, FCC and HDMI certified. Engineered with advanced technologies and premium hardware, this is a robust system you can rely on.